I recently was given some amazing plants for free (for you green thumbs, yerba santa, yucca, chaya, and papaya). The problem was, I got each of them late in the day and they had to be planted in the ground as soon as possble. This meant I'd have to plant in the dark. So, when I got home, I ran inside and immediately grabbed my Black Diamond Zenix headlamp. It's been so long since I've purchased it that I had no idea what the style name is (I looked it up), but who cares?, because it still works capitally. I stayed outside for the next two hours planting the aforementioned greenery, some of which were in large quantities. I got 'em all in, and many have begun to grow proficiently already. The only knock on the headlamp is that the elastic headband started to slightly become slack, but I assume that is the same with every such headlamp. 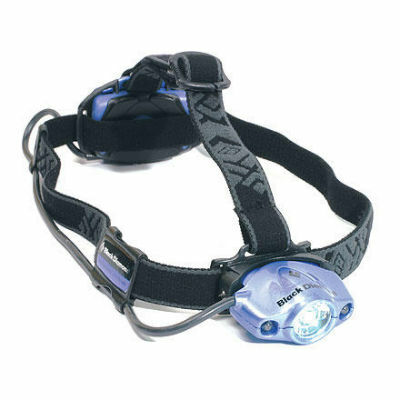 I know that Petzl has some great headlamps, and though I'm not really a Princeton Tec fan, they have some capable lamps too. But for now, it doesn't matter because my nameless Black Diamond headlamp is 10 years old and still ticking. Now, not only have I used it in life-safety situations in the backcountry, but aslo in plant-safety situations in my back yard. Black Diamond. Headlamps. Make it happen.